Salesforce is best known as the world’s biggest cloud-based customer relationship management (CRM) provider. What many people don’t know is that Salesforce is so much more than a CRM. 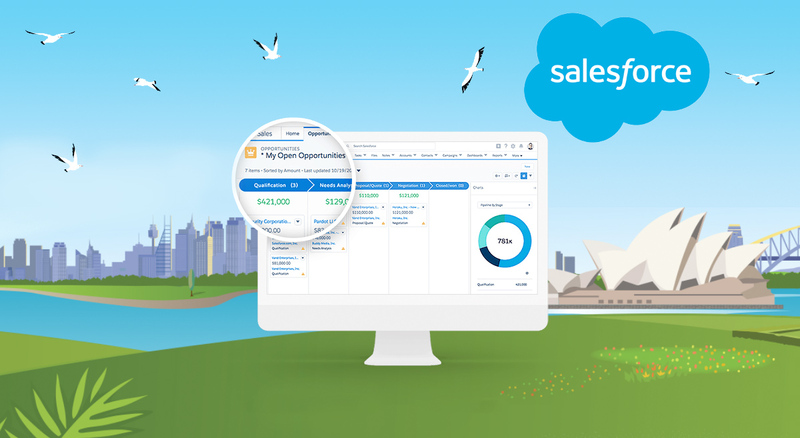 While the CRM is a the center of the system, Salesforce can help businesses connect with customers in a variety of ways and help with a range of day to day businesses processes. Whether you’re a large enterprise or a small team, Salesforce has a solution for all types of business. Below are 10 ways Salesforce can help scale your business for success. You have a system that stores and centralises every customer interaction. How does this benefit you? Each of your customer’s history is immediately available to everybody in your business at the click of a button. They can see every point of contact, which projects/products/jobs that relate to the customer and much more. When a customer phones to discuss an issue, it doesn’t matter who answers, they can pick up where the last conversation left off, rather than having to re-explain, avoiding a waste of your team’s time and the customer’s. By analysing your current and past customers, and building lookalike profiles, the platform helps you identify and market to new prospects who closely resemble your existing customer base. This means deals can be closed faster and marketing campaigns are more effective. Salesforce’s artificial intelligence, Einstein, is built right into every part of the platform. It helps you use data to individualise the customer experience and delightfully disrupt their expectations. The Salesforce Marketing Cloud allows you to shape and plan each campaign, then automate the rest, allowing you to focus on other areas of the business, while your customer base continues to grow. Businesses leveraging marketing automation are experiencing a 50% increase in productivity and a 34% increase in sales revenue. One of the strongest and most popular feature of Salesforce is the ability to build your own app processes. Salesforce App Cloud is a single ecosystem where anybody in the business can explore, discover and easily build their own apps for unique purposes, using clicks, not code. This function allows you to turn a disconnected series of time-sapping, spreadsheet-heavy processes into a smooth, digital automation, freeing up your time and your staff’s. Customers expect all businesses to offer a highly personal level of service. While providing a personalised service has long been an exclusive advantage of small businesses, advancement in technology has enabled large companies to use data and do the same. Salesforce makes all this possible through automation, data analysis, interactive systems and artificial intelligence. And it doesn’t require an IT team. Salesforce lets you leave behind a shared customer service inbox. An integrated, out-of-the-box solution makes it simple to manage service cases and help customers at lightning speed, while making faster, better decisions. Imagine having a customer service query, and already knowing what the customer bought from you and why they bought it. Salesforce Small Business Solutions also helps you see into the future and be proactive. The technology highlights patterns and trends, so you can anticipate your business’s needs rather than making reactive decisions on the fly. If you need to speak with a OnePoint team member about integrating this technology with your business, call our office on 07 3444 0045 or contact us online.